​While the NBA offseason was riddled with rumors on where LeBron James would end up, it appears one of the most heavily-rumored teams was never even in real consideration. 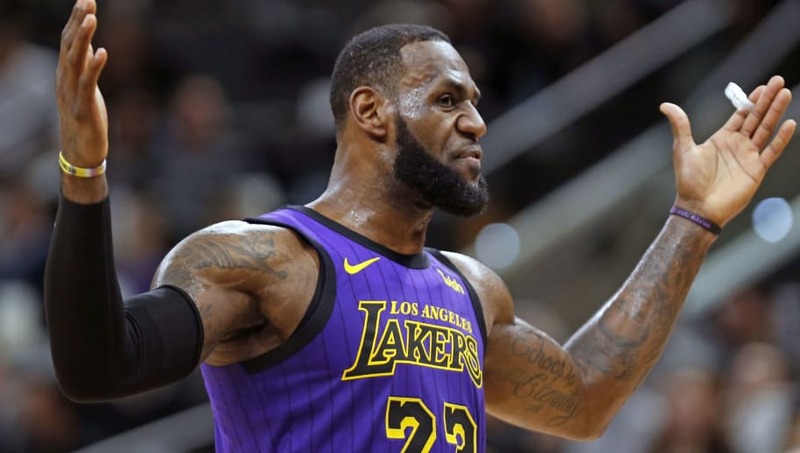 LeBron revealed earlier today before a much anticipated matchup against the Houston Rockets that he gave the prospect of joining up with Chris Paul and James Harden very little consideration. One thing has become increasing clear over the course of the season: LeBron only wanted to sign with a team that not only played in one of the NBA's biggest markets, but that didn't already have an MVP on the roster. LeBron hinted that he considered signing with the New York Knicks during a recent postgame conversation with Dwayne Wade. This small reveal was enough to drive Knicks fans crazy. But that doesn't mean the Rockets faithful ought to be feeling too happy, either. ​​LeBron James is not just an athlete, as he has become a massively profitable brand. Going to a struggling franchise like the Los Angeles Lakers and bringing them back to relevancy is an incredibly smart career move. With all the dysfunction of the Knicks, the Lakers were almost certainly the only team given strong consideration. Living in Los Angeles also helps LeBron's ambitions to break into film and television even further. He has begun doing so in films like 2015's Trainwreck and this year's Small Foot. His HBO series The Shop has attracted some massively famous celebrity guests, and he's executive producing a new basketball-themed drama series set to debut on NBC. Living in LA only expedites the process. It may as well have been inevitable.